Kevin De Bruyne believes the mental and physical toll of chasing the quadruple could make the feat nearly impossible for Manchester City. 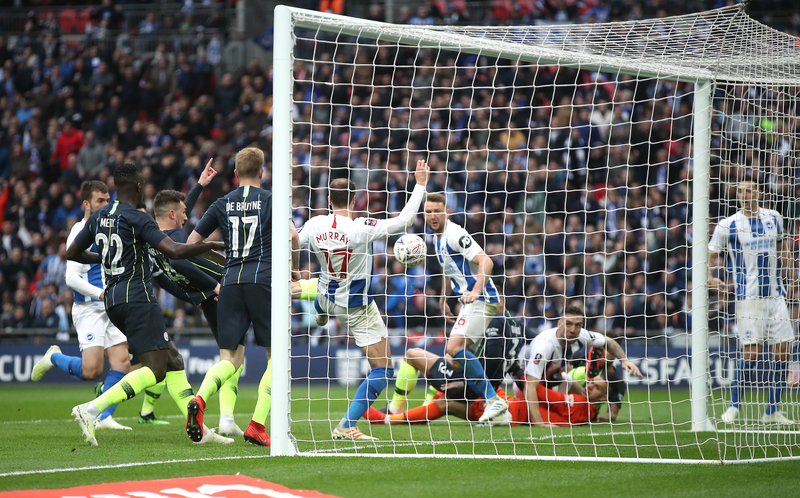 City moved a step closer to an unprecedented clean sweep of four trophies by reaching the FA Cup final with a narrow 1-0 victory over Brighton at Wembley on Saturday. Yet manager Pep Guardiola described the quad challenge as almost impossible after the game and De Bruyne agrees that the congested fixture list presents a tough obstacle. The Belgium playmaker said: “It is nearly impossible. I don’t think it is impossible to win every game, (looking) game by game, but if you see the fixtures coming up – I think every game we play now we are going to be at a disadvantage physically and mentally because we will have a game before the other teams, the other teams will have a rest. City are now staying in London ahead of their next testing task, Tuesday’s Champions League quarter-final first leg at Tottenham. 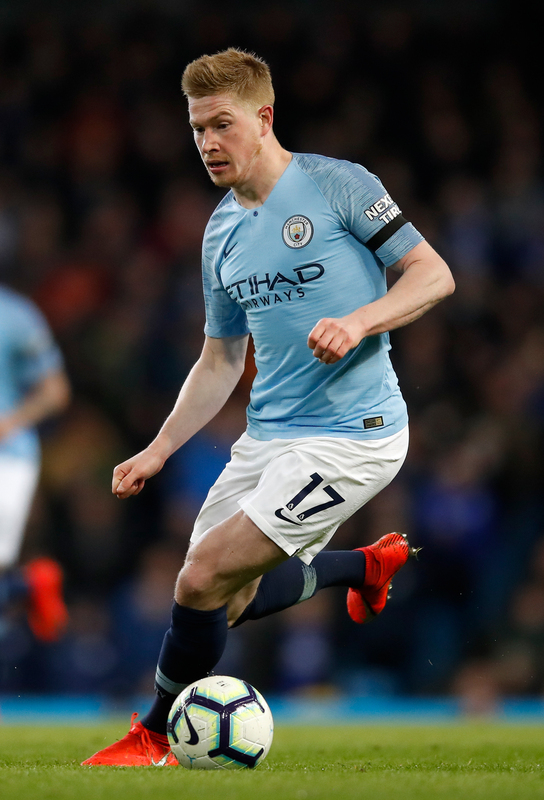 To underline his point, De Bruyne noted that Spurs – who City also face in the Premier League this month – have had a free weekend ahead of the clash. The 27-year-old said: “Every game is difficult. We just now have to prepare for Tuesday. 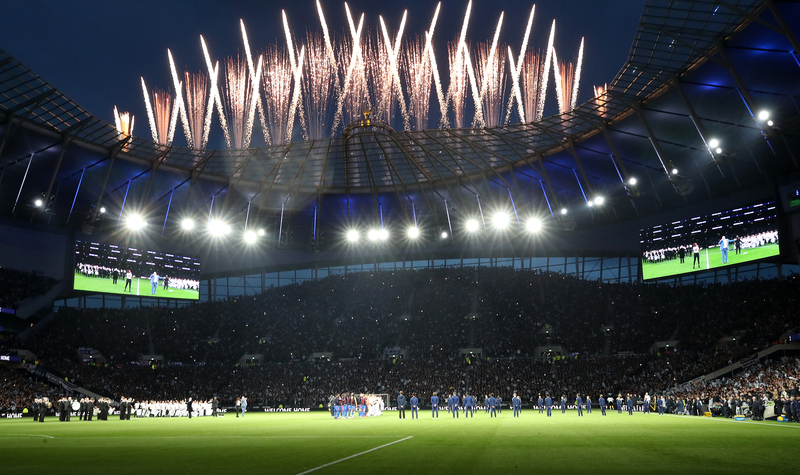 The game will be Spurs’ second at their new stadium, the move to which has given the club a lift. But De Bruyne said: “The stadium doesn’t matter. They are going to be excited because it is a Champions League quarter-final. While City were involved in FA Cup action over the weekend, title rivals Liverpool returned to the top of the table with a hard-fought win over Southampton. City are still favourites because of their game in hand, but De Bruyne does not think the Reds will allow any margin for error. He said: “Probably they will (win their games). We just have to look at ourselves and try to win game by game. We will see in the end what happens. De Bruyne provided the one genuine moment of quality in a drab game against Brighton, curling in a brilliant fourth-minute cross for Gabriel Jesus to head the only goal. The Seagulls applied pressure in the second half but City comfortably closed out the win.